T.S. 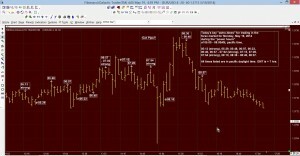 Phillips' Daily AstroTimer™ Intraday trading Formula. The most profitable and best times for trading intraday. Discover how accurate with your Free Two Week Trial! Intraday Trading Formula. 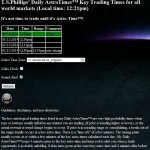 Key daily astro-trading times and alerts in real-time for all world markets. (These are very high probability daily key times for intraday trading when tops/bottoms unfold or reversals occur in any market you are trading). The hours covered are from 8AM – 04:15PM, eastern time. Watch my latest youtube from July 23, 2015, “Emini Trading Strategies using Planetary Timing Signals. Get the lag out of your trading signals for more effective intraday trading strategies. Integrate these timing signals with your own trading plan or my daily market timing advisory reports to greatly increase your probabilities of winning every day. For my daily forecasts and commentary including each days key planetary support and resistance levels to be used with the daily astrotimer, Visit emini trading strategies, gold trading strategy, crude oil trading signals, or forex trading strategy. Real-time timing alerts, visually and audibly, converted to your time zone anywhere in the world you are trading for all world markets. These are very high probability trading times when tops and bottoms are due to unfold or important reversals or trend changes begin to occur within a few minutes of the key trading time. The daily astrotimer runs from the hours of 8AM – 4:15PM, eastern time, Monday – Friday. No matter where you live or market in the world you are trading, you can never miss a beat when some important opportunity may be unfolding for intraday trading with my daily astrotimer! The key astro- trading times listed in my Daily AstroTimer™ are very high probability times when tops or bottoms usually unfold in any market you are trading, (if price is trending higher or lower), or the actual reversal or trend change begins to occur. If price is in a trading range or consolidating, a break out of the range usually occurs at a key astro-time. There is a “time orb” of a few minutes.The turning point usually occurs at or within a few minutes of the key astro-times calculated each day. 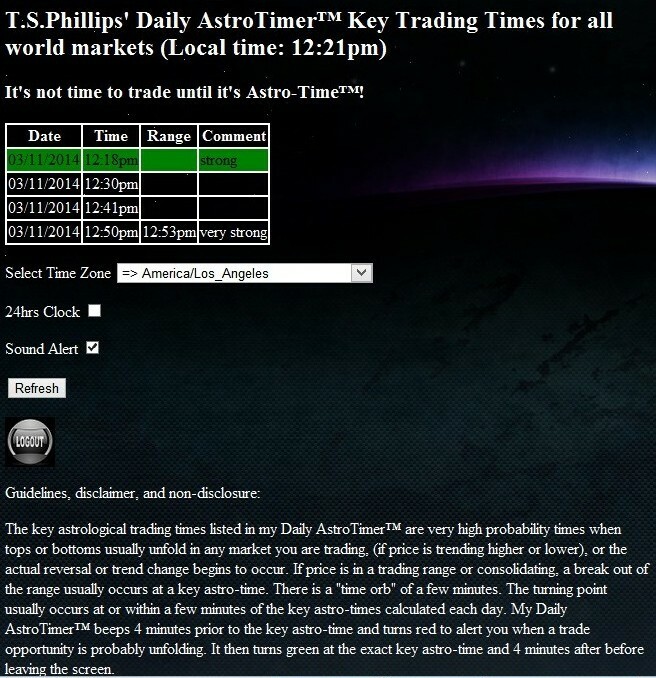 My Daily AstroTimer™ beeps 4 minutes prior to the key astro-time and turns red to alert you when a trade opportunity is probably unfolding. It then turns green at the exact key astro-time and 4 minutes after before leaving the screen. Some key times are listed as “strong” or “very strong” in terms of planetary energy. However, any key time may trigger a significant reversal or change in trend when “price and time” come together during the day, if you are also aware of the correct planetary price levels for tops or bottoms to unfold. My “Daily E-Mini Astro-Report™” for trading the eminis or stock indices, “Daily Gold Astro-Timer™” for trading Gold futures or etfs, “Daily Crude Oil Astro-Timer™” for trading Crude Oil futures or etfs, and “Daily FX Astro-Timer™” for trading the Eur/Usd, provide all the planetary price levels and daily forecasts that can be used in conjunction with your Daily AstroTimer. 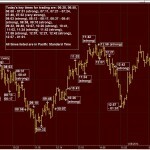 You may visit, “trading services” for more information on these special daily reports, forecasts, and other financial astrology services at www.AstroAdvisor.com. You may also contact me at (310) 456-8777, pacific or by e-mail at [email protected] if you have any questions. The key daily astrological trading times in my Daily AstroTimer™ are based on the extensive research, development, and trade secrets of T.S. Phillips. All the information you receive is for your own personal use only and is not to be reproduced in any way whatsoever or disclosed to any third party. The key daily astrological trading times are calculated to give you an unique trading and timing edge, and to “put time on your side.” It is to be used by experienced traders only that understand the risks and have the developed skills to know when to take profits or cut losses, a valid trading methodology, and the discipline necessary to trade successfully. Only risk capital should be used when trading stocks, futures, or options. Past results are not necessarily indicative of future results. You are responsible for your own activities in the stock or commodity markets and you realize that trading involves high risk. © 2019 T.S. Phillips' Daily AstroTimer™. All Rights Reserved.